This is a white LED module. The main function is to control a plugin LED on and off. 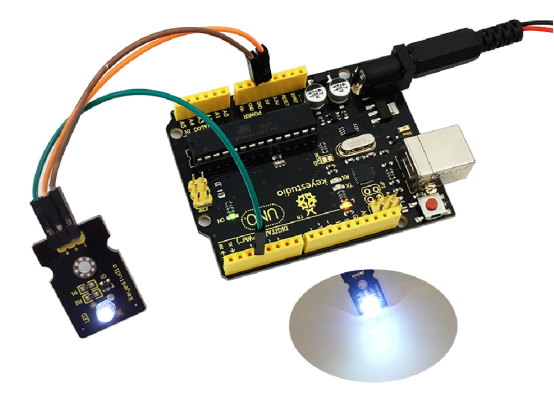 When connecting to ARDUINO, after programming, it will emit white light color. The pin pitch of 3Pin is 2.54mm. 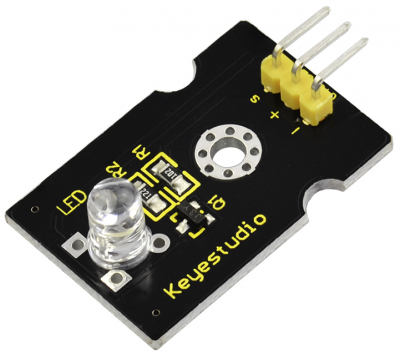 This LED module has 3 Pins; - pin is connected to ground, + pin is connected to VCC（3.3-5V）, S pin is for signal control; you can set the High or Low level to control the LED on and off. You can combine with other sensors to do various interactive experiments. You can also choose other LED modules to emit different light color like blue, green, yellow and red. 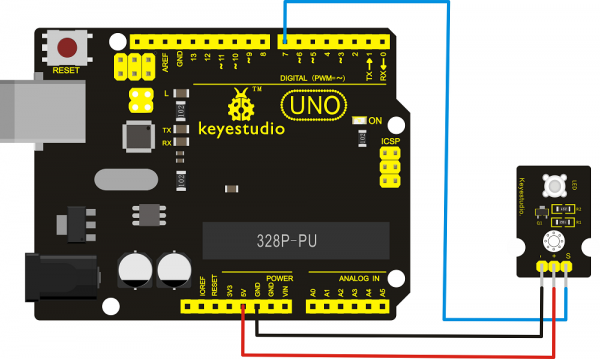 Connect the LED module to control board using three jumper wires. Then connect the control board to your PC with a USB cable. The LED will flash on for one second, then off for one second, repeatedly and alternately.